From pain and stress relief to fertility and menopause support, acupuncture is known to offer a wide range of medical benefits. But what many may be surprised to learn is that this ancient medical system also offers cosmetic advantages—especially when it comes to the face. Whether you would like to clear up problematic skin or just look and feel younger, here are a few reasons why Facial Rejuvenation Acupuncture is for you. What Can Facial Rejuvenation Acupuncture Do? 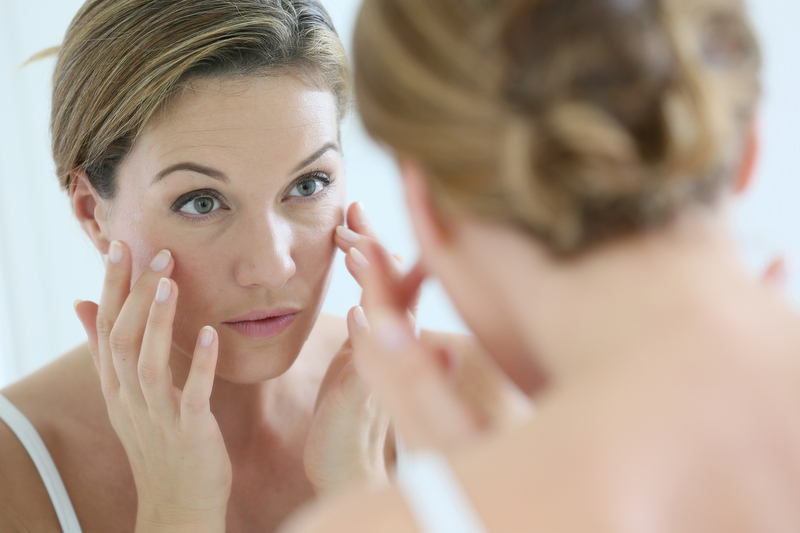 Stress, sleep deprivation, poor diet and aging issues are just a few reasons why your face may appear puffy and tired. Sagging muscles in the cheeks and under the chin also result in an older appearance. Facial Rejuvenation Acupuncture can return tone to sagging muscles and increase circulation of energy in the face. Acupuncture improves your sleep and digestion as well, so you look and feel younger! Facial Rejuvenation Acupuncture reduces fine lines and wrinkles, such as crow’s feet, which make you appear older. It is an excellent alternative to many traditional cosmetic surgeries and dermal fillers. Many actors, models and public personalities incorporate acupuncture in their routine care because it is so effective. By stimulating underlying tissues, the treatments increase collagen production and circulation, and lift the muscles in your face. This greatly reduces or resolves the fine lines and brings back your facial glow. Although practicing proper hygiene and skin care can help prevent acne, often there are internal imbalances in your system that are the cause. The issue may be hormonal or chemical imbalances within your body. In these situations, treatment by an experienced Licensed Acupuncturist can re-balance hormone production, encourage your system to get rid of toxins and prevent breakouts from occurring. Over time, your skin can appear flat, tired, and dull due to poor distribution of nutrients and lack of proper circulation in the face. Facial Rejuvenation Acupuncture stimulates collagen production, minimizes large pores, and increases blood and fluid circulation to help tone your skin and bring back the glow to your overall complexion. Moisturizers can reduce some dryness in your skin by penetrating the outside layers, but they won’t do much to affect the internal dryness in your system. Acupuncture, however, can help your body produce and retain internal fluids and moisture. It also increases circulation in your face, helping it shed dead skin cells and create new healthy ones. If you’re looking for a simple and stress-free way to rejuvenate your appearance, turn to Cindy E. Levitz, Lic. Acupuncturist for personalized Facial Rejuvenation Acupuncture in New York, NY. Practicing Acupuncture and Oriental Medicine for more than two decades, and with advanced education and experience in the specialized technique of Facial Rejuvenation Acupuncture, Cindy E. Levitz knows how to customize treatment to address your particular cosmetic issues—including wrinkles, fine lines, jowls, poor complexion and dull skin. Beyond cosmetic care, this Licensed Acupuncturist also offers affordable and effective acupuncture for stress and anxiety, neck, shoulder and back pain, migraines, women’s health issues, and more. To learn more about the comprehensive services Ms. Levitz offers in her conveniently located office in NoMad and near Murray Hill, Gramercy Park, Midtown South, Flatiron, and Chelsea, visit this acupuncture provider online. For appointments, call (212) 924-8034.